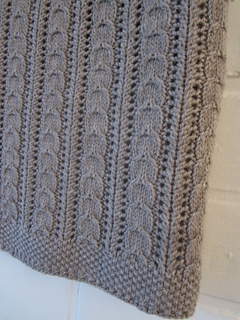 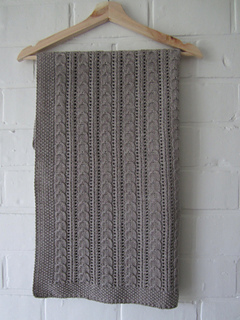 A cosy baby blanket with little cables and easy lace pattern. 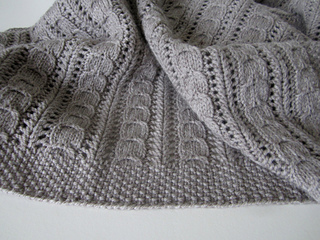 Finished size : 65 cm x 80 cm/ 25,5 “ x 31,5 “ (blocked). 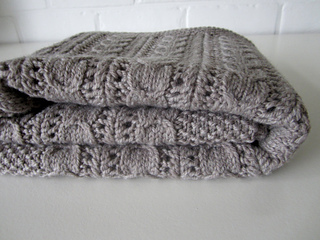 The size is easily adjustable : add or omit pattern repeat(s).